Rigging our fishing kayaks with the V.I.O. POV camera. People often ask me about how we get the point of view shots on our show, what kind of camera we use, and how we mount it on our Jackson Kayaks. For the past couple years we have been using the V.I.O POV camera because we feel it gives us better shot control and higher quality over other cameras available at this time. 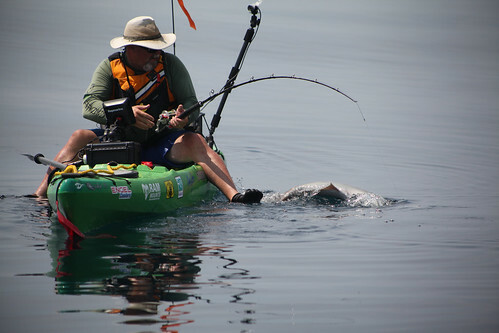 The V.I.O is also water tight and rugged enough to handle the abuse of kayak fishing. An external waterproof microphone which picks up much better sound than anything else available from other onboard mics. The POV Power which allows us to hook up the camera to an external battery so that we can run the camera all day without fear of running out of power when we need it most. A wrist worn remote control which makes starting and stopping recording on the fly as simple as can be. A recording looping function which means we can set the camera to record in a constant loop, only saving it when needed. This means we will never miss that shot of the fish hitting our baits. Watch the video below to see how we have the V.I.O. 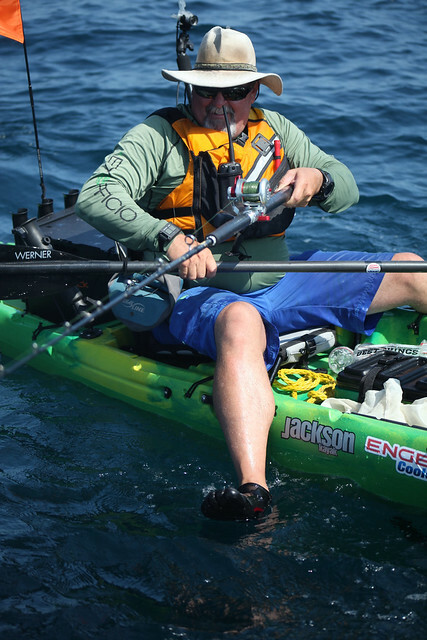 mounted on our Jackson kayaks with Yakattack gear.